Boplats is a marketplace for all who looking for a place to stay in the region of Göteborg. Our directives include sharing information about the housing market to applicants and other parties involved. The city has decided that there is an annual fee of 100 SEK to use boplats.se and that the website should be transparent. This means that it should be made clear by the landlord who can rent their apartments, and how they rank the applicants, if they use a ranking system. 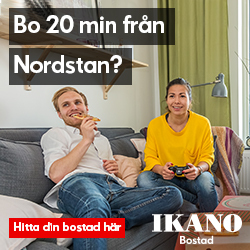 At boplats.se you will find rental apartments advertised by landlords in the region. Once registred you are able to apply for apartments through the website. You will find apartments owned by the city of Göteborg (Allmännyttan) as well as apartments from many private landlords. There are apartments for students, senior citizens and for other target groups. You also find apartments from many of the municipalities around Göteborg. You will also find subletting and rooms on our website. You apply for these by contacting the person placing the ad directly. If you have a dwelling space you wish to let, you can use boplats.se to place an ad. We regularly arrange fairs and seminars, and meetings for target groups such as seniors, students etc. Our goal is to bring tennants and landlords together, through our website and through meetings in person. Fastighetsägarna Göteborg Första Regionen, ek.för.